​The latest book in The Journey series will be released on Friday the 15th of September 2017. 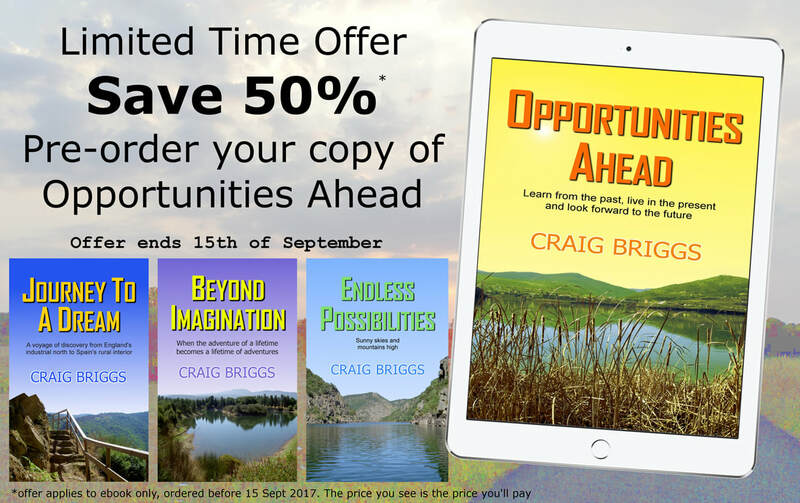 ​To thank my loyal readers for their support, I have decided to offer Opportunities Ahead ​at half price for seven days prior to its release. ​Pre-order ​your copy today at half price. This is a time limited offer​ that will expire on Friday the 15th of September.